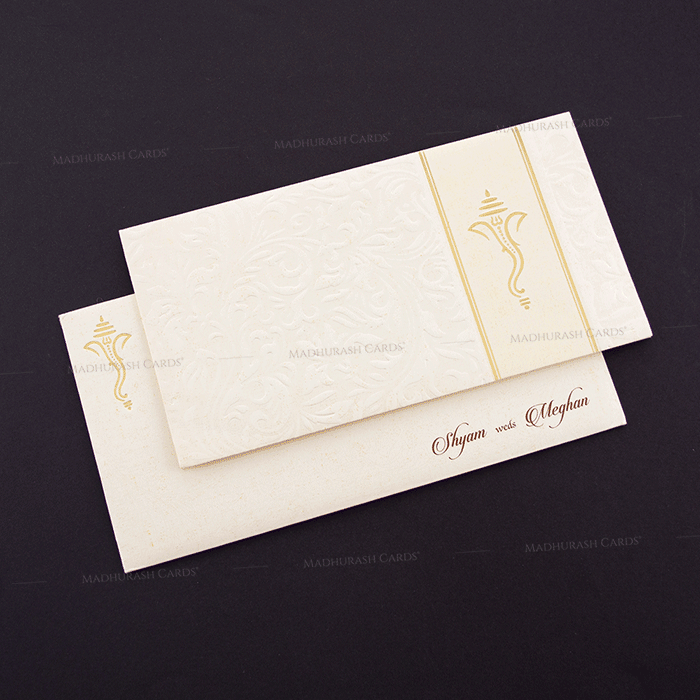 Size : 11" x 5.75"
Wedding invitation with embossed floral pattern coupled with gold foil Ganesha art looks truly graceful. 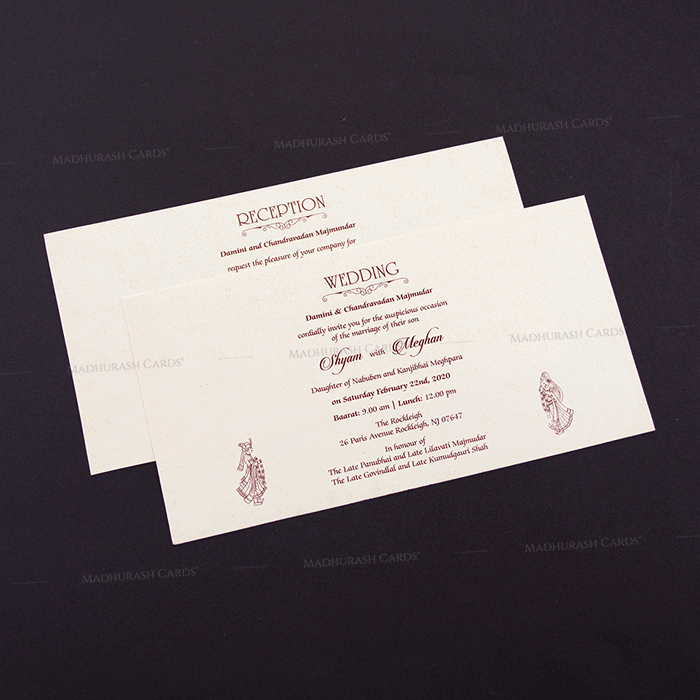 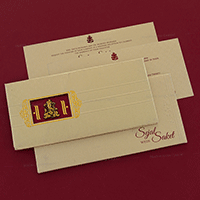 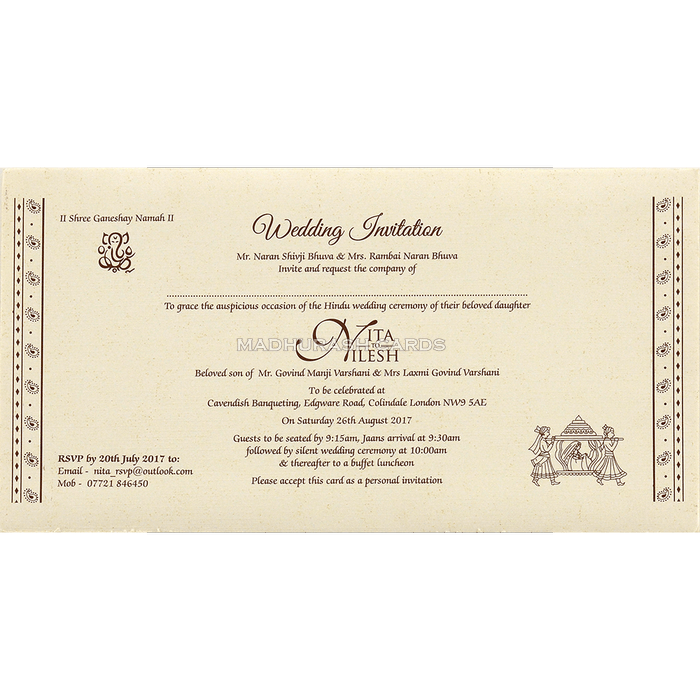 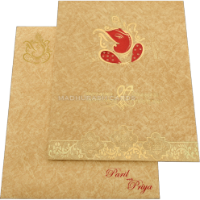 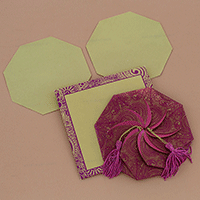 Wedding card comes with identical inserts and envelope carrying beautiful floral pattern. 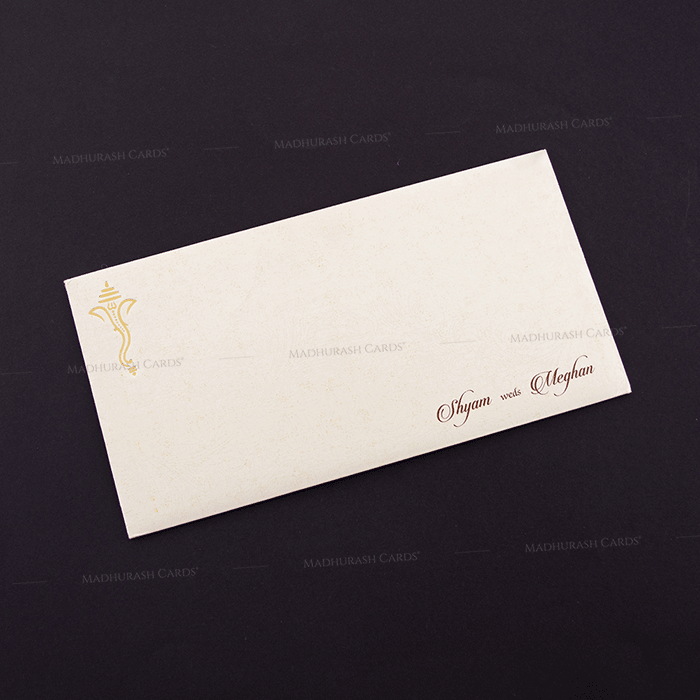 It's elegant!